Today s edition of Lancet Respiratory Medicine has a debate on the crucial question of whether e-cigarettes should be regulated, and if so how, and by whom? This is crucially important because of the global extent of the tobacco problem, and the question of how to fight it. People smoke for the addictive power of nicotine and the behavioral habit that accompanies smoking but they die, by the millions, from the toxins and carcinogens in the smoke they inhale. To many public health experts, and to millions of smokers, the nicotine supplied by e-cigarettes, along with the mimetic behaviors of vaping as using e-cigarettes is called may replace smoking cigarettes. Since e-cigs supply only nicotine in water vapor with benign flavorants, logically there should be minimal or no adverse health effects, while supplanting the craving for cigarette-supplied nicotine. Despite this seemingly-inescapable logic, public health groups, governmental regulators and some commentators want to ban e-cigarettes, or regulate them so stringently that the obstacles placed before allowing them on the market will impede smokers access. Others argue for minimal regulation and restrictions similar to consumer products which require merely good manufacturing process and appropriate warnings as to use and age restrictions for minors. Arguing for tight regulation are two experts affiliated with the Schroeder center of the American Legacy Foundation. This organization is a devoted antagonist of harm reduction, the concept of supplying the craved substance in less-harmful form, rather than demanding total abstinence. Nathan Cobb MD and Caroline Cobb Ph.D. speak against flexible recreational-product regulation because of their stated concerns that e-cigs should not escape the same long-term, expensive clinical trials that currently-approved nicotine-replacement products (NRTs) had to undergo. Presenting the case for easier access to the consumer marketplace are Drs. Peter Hajek, Jonathan Foulds, Jacques Le Houezec, Derek Yach, and Mr. David Sweanor, all well-known experts on tobacco, addiction and nicotine, as well as public health. 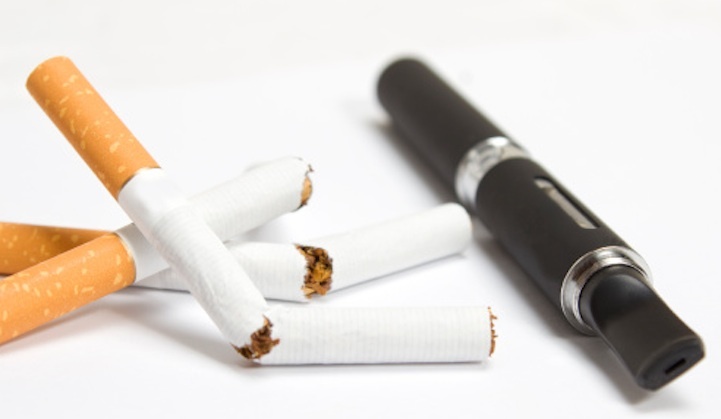 They simply assert that the clear dangers of over-regulating e-cigarettes would effectively protect cigarette markets, which are essentially unregulated; to the extent that long-term studies would be required, only the big tobacco companies have the resources to conduct them, driving agile innovative companies into failure or selling out to the cigarette makers. ACSH s Dr. Gilbert Ross had little to add to the experts persuasive analysis, only this: What those who oppose harm reduction and e-cigarettes ignore, intentionally I have to say, is the evidence of approved NRTs failure. The success rate of helping addicted smokers quit is in the 10 percent range, in the best of hands. Maintaining the tired dogma of stick to the approved methods is simply telling desperate smokers, quit, or die. Given the dire predictions of One-Billion prematurely dead from smoking this century, that agenda is no longer acceptable, while e-cigarettes and smokeless tobacco provide hope, if the agencies and NGOs will just get out of the way.